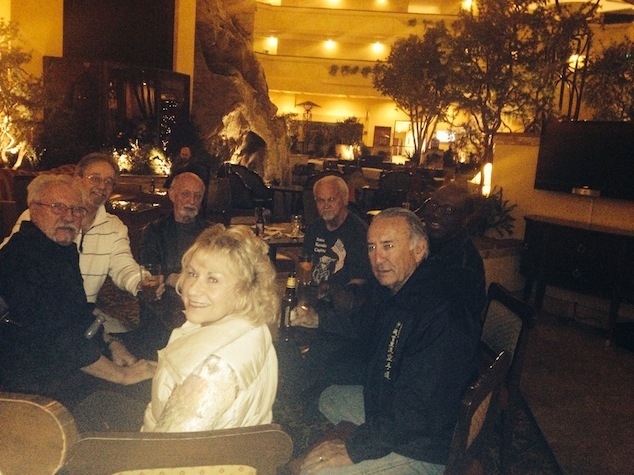 KYOSHI SUE HAWKES, Director of the United States Association of Martial Artists (USAMA), sponsored this event which was held on April 3-6, 2014 in Albuquerque, NM. The three day event involved a major tournament, USAMA Administrative Meetings, Annual Banquet and Awards Ceremony, and various Seminars. This year the Heilman's were again invited back to teach Kobudo Seminars. Additionally Hanshi Jody Paul also attended and taught a Toide Seminar. Other Seminar Instructors included: Fumio Demura, 9th Dan, Shito-ryu Karate-do; Bill Wallace (Superfoot); Hanshi Robert Bowles, 10th Dan, Shuri-ryu Karate-do; Tim VanDemover, 8th Dan Shorin-ryu (teaching Kombat Kenjutsu); and Eli Guzman (Take-down Sparring). All in all a great line up of Seminar Instructors. 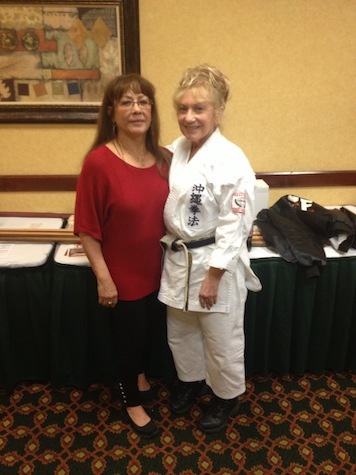 Kyoshi Maria Evans (California) and Hanshi Heilman (Pennsylvania) at USAMA Event. 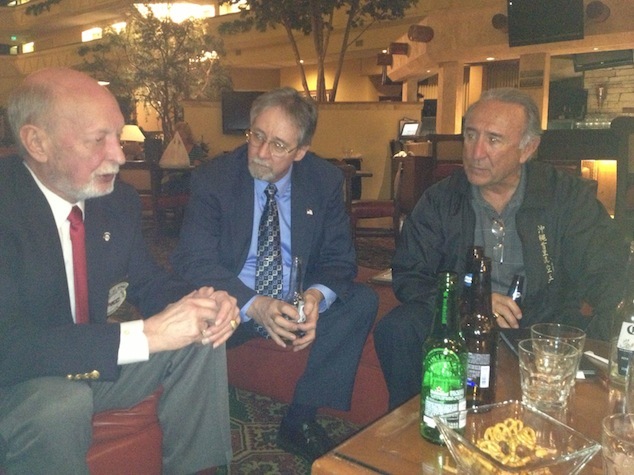 Evening discussion between Hanshi's Glenn Keeney, Bruce Heilman and Robert Bowles at USAMA event. 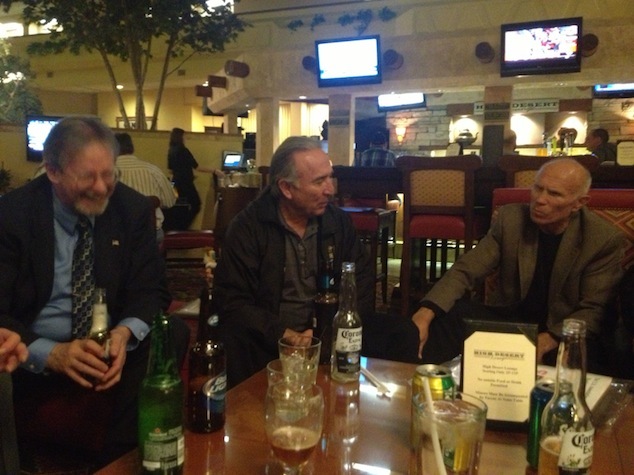 Discussion continues with Bill Wallace (Superfoot) joining group. 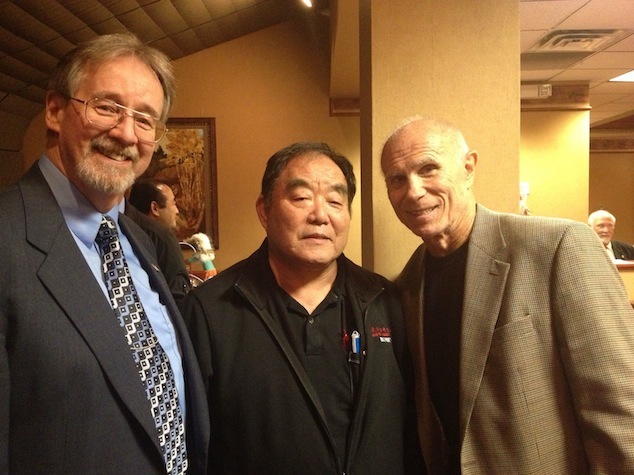 Bruce Heilman, Fumio Demura and Bill Wallace pose for photo at USAMA Annual Banquet. 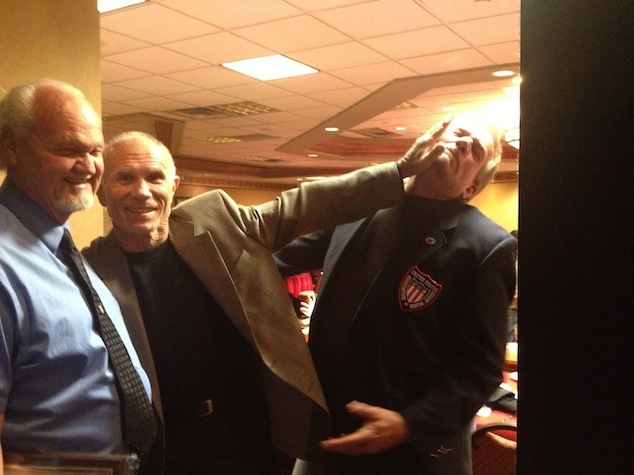 Jody Paul, Bill Wallace and Tim VanDenover as he tries to photo bomb the shot but is deterred by Mr. Wallace. Party time again at the USAMA Event. 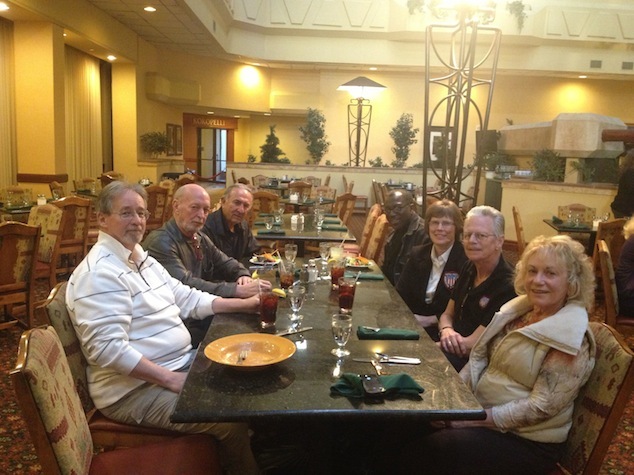 From left to right: Tom Pisut, Bruce Heilman, Glenn Keeney, Jody Paul, Eddie Bethea, Robert Bowles and Ann-Marie Heilman. Lunch time at the USAMA Event. From left to right: bruce Heilman, Glenn Keeney, Robert Bowles, Sue Hawkes, Dr. Rick Fields and Ann-Marie Heilman.